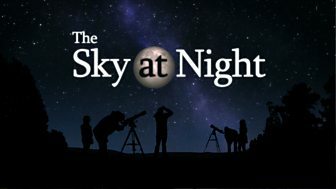 The Sky at Night Catch Up? 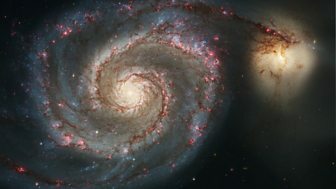 Your monthly journey through the fascinating world of space and astronomy. 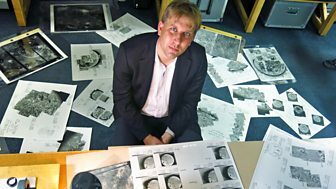 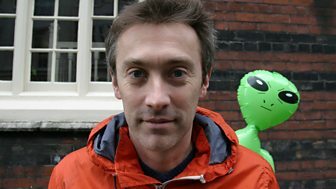 What Have Ufos Done For Us? 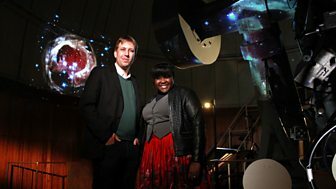 The team explores the vast frozen worlds of Uranus and Neptune, while astro-photographer Damian Peach shares his tips for capturing these jewels of the night sky. 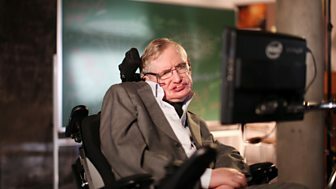 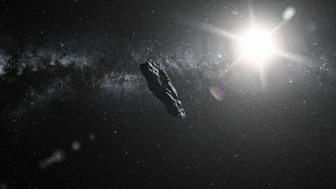 Are we alone? 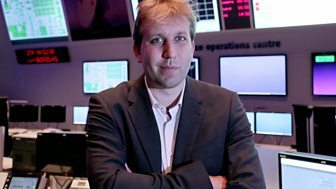 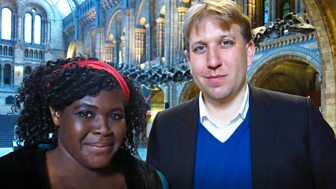 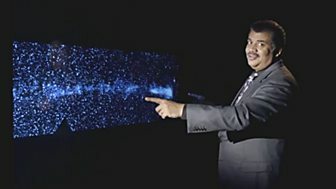 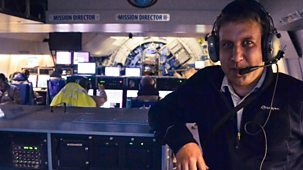 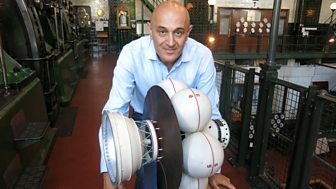 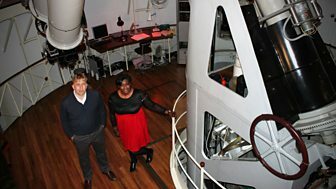 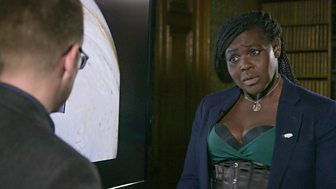 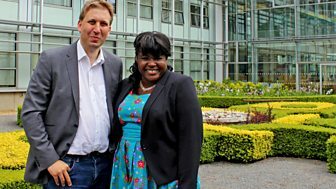 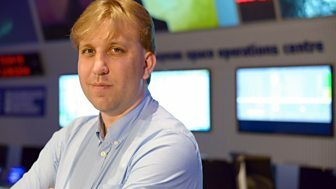 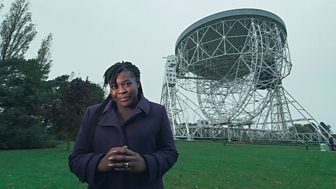 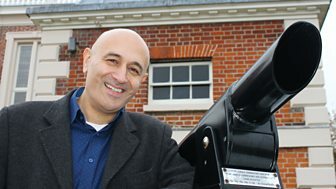 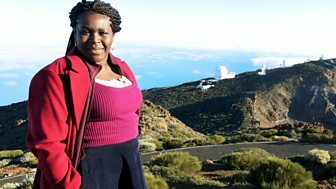 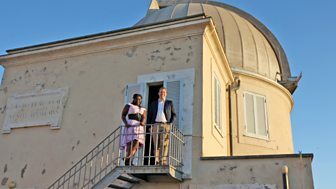 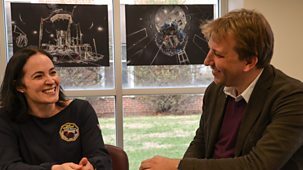 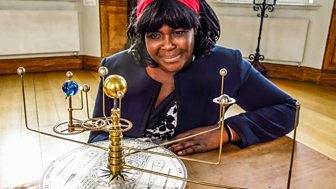 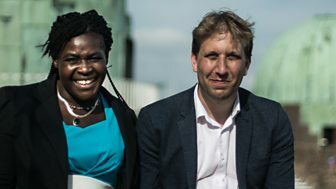 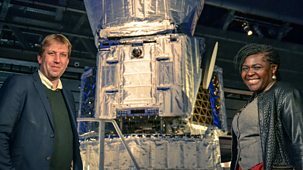 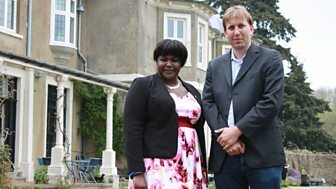 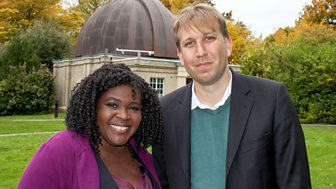 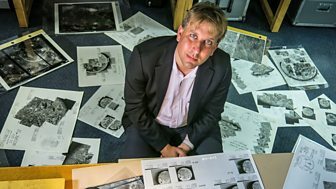 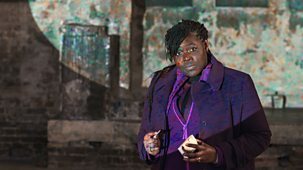 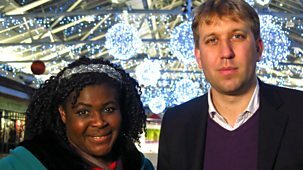 Geneticist Dr Adam Rutherford seeks to define what life is and Maggie Aderin-Pocock explores our chances of finding it in the universe. 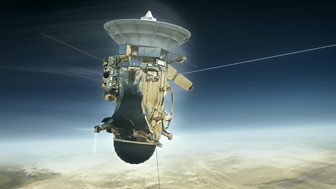 The team is at mission control as the Rosetta probe catches up with the comet it has been chasing across the solar system and prepares to send out a lander. 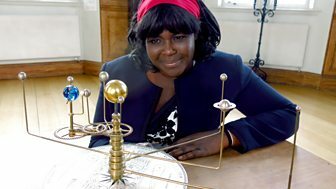 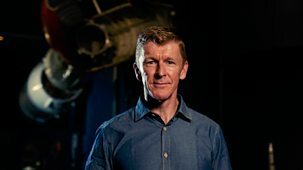 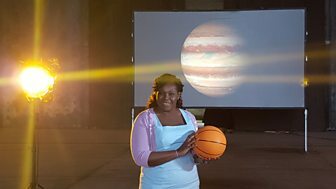 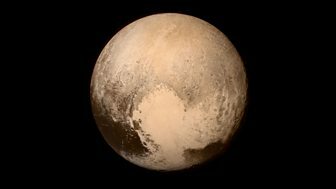 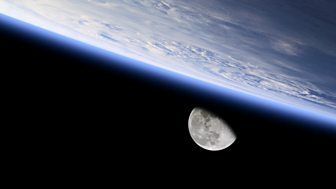 The team explore stargazing in the daytime, show how seasons change on other planets across the solar system and examine what makes the sun special. 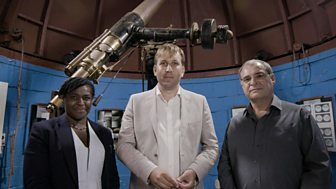 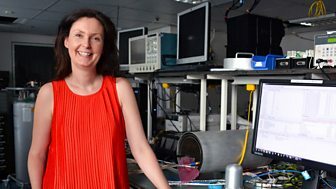 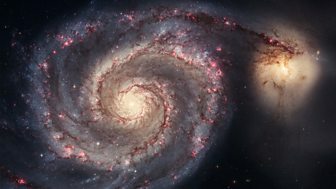 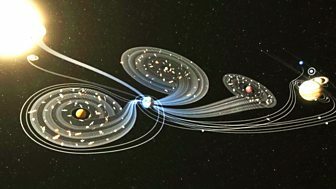 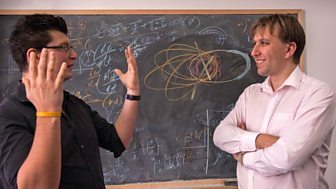 The team looks at the cosmic impacts which have shaped the universe around us, from asteroids crashing into the surface of the moon to galaxies colliding with each other. 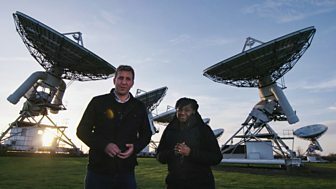 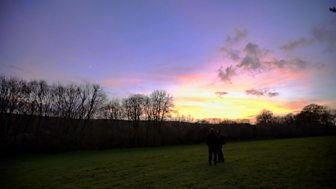 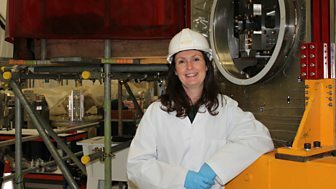 The team travels to the Brecon Beacons AstroCamp to see how gravity shapes the universe. 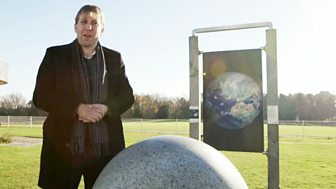 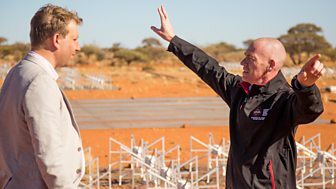 Chris finds out about the newest moon in the solar system.